On Thursday, August 9, Westmont Special Events and the Westmont Fire Department will co-host the Westmont Street Fair and Cruisin’ Nights Fire Truck Night. The event will be held on Cass Avenue in downtown Westmont from 5 to 9 p.m. and will include many activities for families including a bounce house, fire pole slide, obstacle course, tours of the various fire department vehicles, visits with Sparky the Fire Dog and Freddy the Fire Truck, as well as for kids to dress up in fire fighting gear. 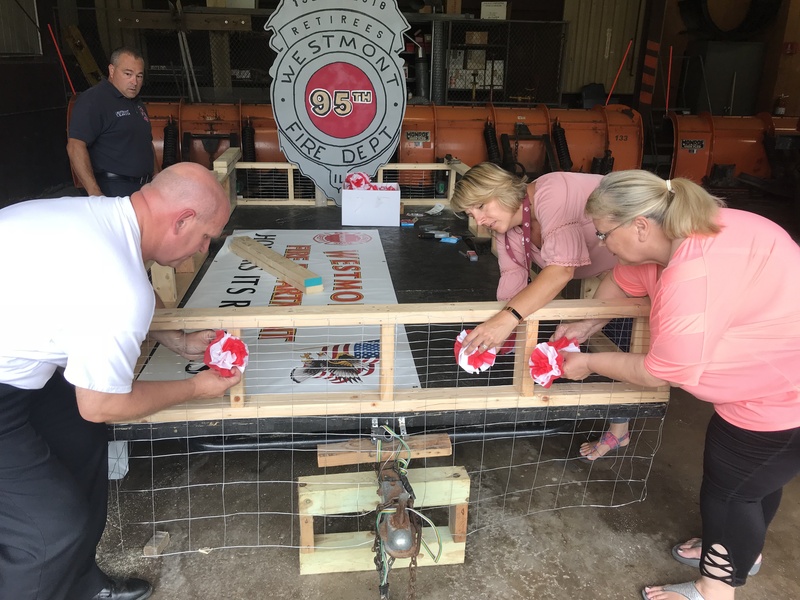 “Another highlight this year will be a float that will feature some of our retired firefighters,” said Village Trustee Linda Liddle, who is helping with the Fire Truck Night Parade and float coordination. The Fire Truck Parade and float will take place on Cass Avenue at the end of the night around 9 p.m.
For more information, contact Westmont Special Events at wsec@westmontevents.com or 630-829-9378.